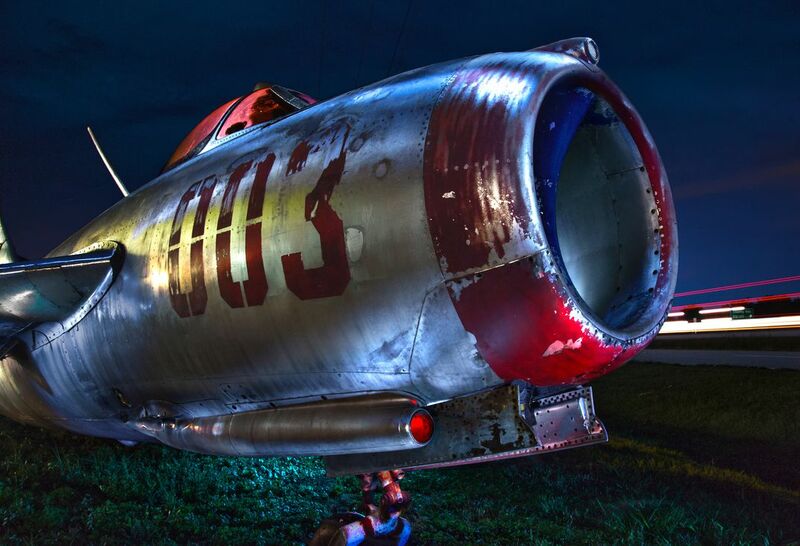 An old Korean War era Soviet MIG fighter jet stands ready vigil over an antique mall in Forney, Texas. Traffic from highway 80 streaks by in the background. A light painting image inspired by the famous 1963 pop art painting, 'Whaam!' by Roy Lichtenstein. Date Uploaded: April 25, 2017, 1:07 a.m.